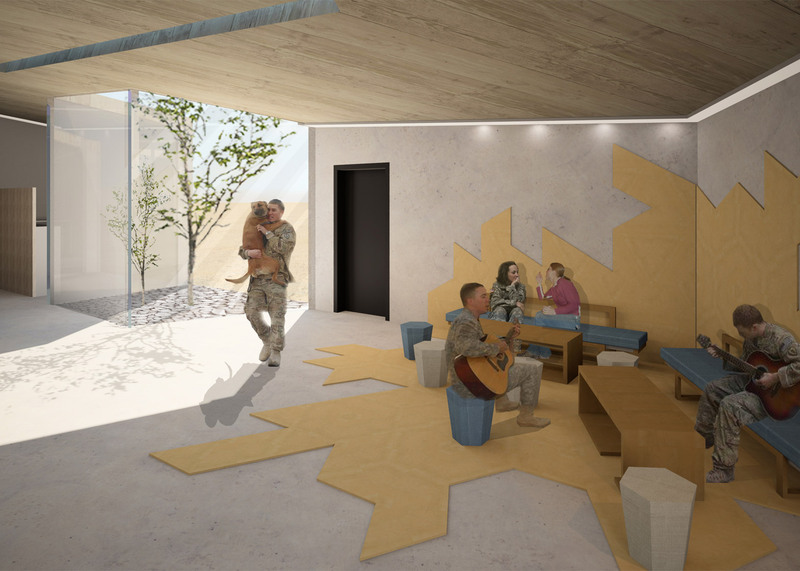 Graduate design students at Iowa State University have created conceptual schemes for shelters that would house US soldiers fighting in Afghanistan and help give them a sense of safety (+ slideshow). 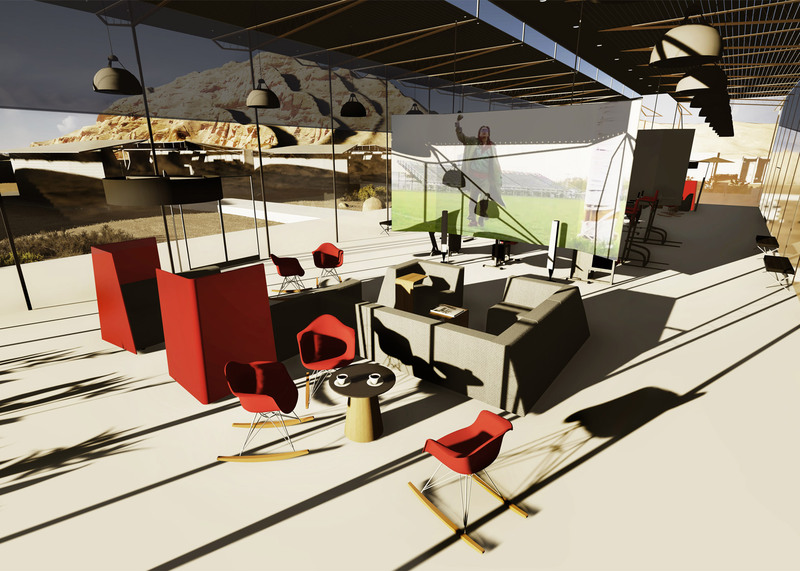 The schemes were produced as part of a new studio called In Harm's Way, led by Lee Cagley, a professor and chair of the school's interior design department. Cagley asked students to conceive combat outposts, or COPs, for soldiers based in Afghanistan in the near future. The year proposed was 2022. "I've been working on this for several years, since watching a TV feature on PTSD (post-traumatic stress disorder)," said Cagley on the university's website. "Soldiers returning from Iraq and Afghanistan spoke eloquently about the fact that they were never able to relax; the outpost tents never felt really safe." 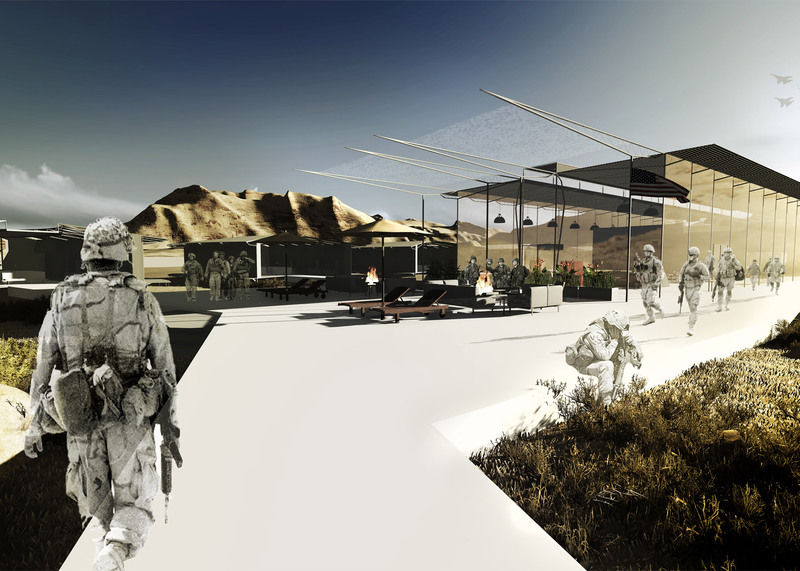 "It struck me that what they were talking about was fundamentally an interior design problem – the combat outpost environment wasn't supporting the troops emotionally," Cagley added. 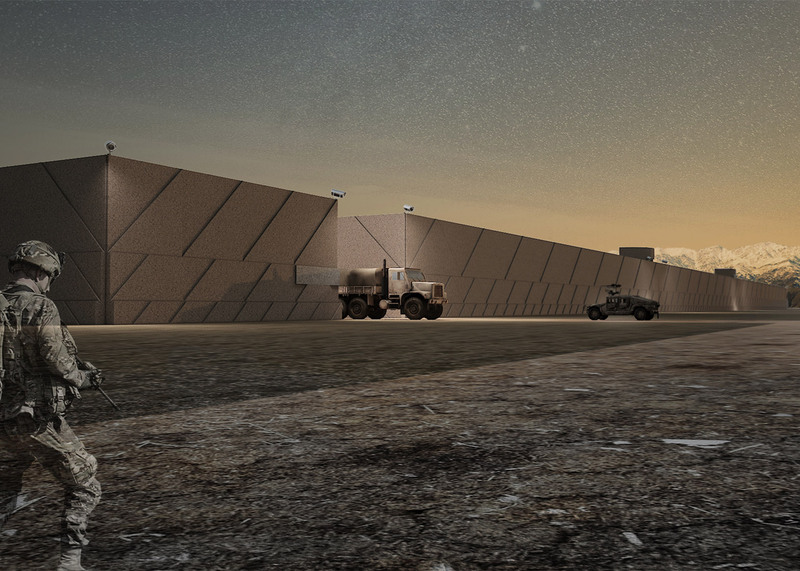 Constructed in a hurry, combat outposts are typically made of materials that are immediately available. Sometimes soldiers will occupy an abandoned building rather than build a new COP. Students were charged with designing shelters that would provide greater physical and emotional comfort. The buildings needed to include lodging, dining, laundry and medical facilities, and the entire complex needed to accommodate about 120 soldiers. An American military company typically consists of 80 to 250 soldiers. "The location we settled on was near Delaram, in Afghanistan, at the junction of several arterial roads and a riverbed from the mountains to the immediate north," Cagley said. 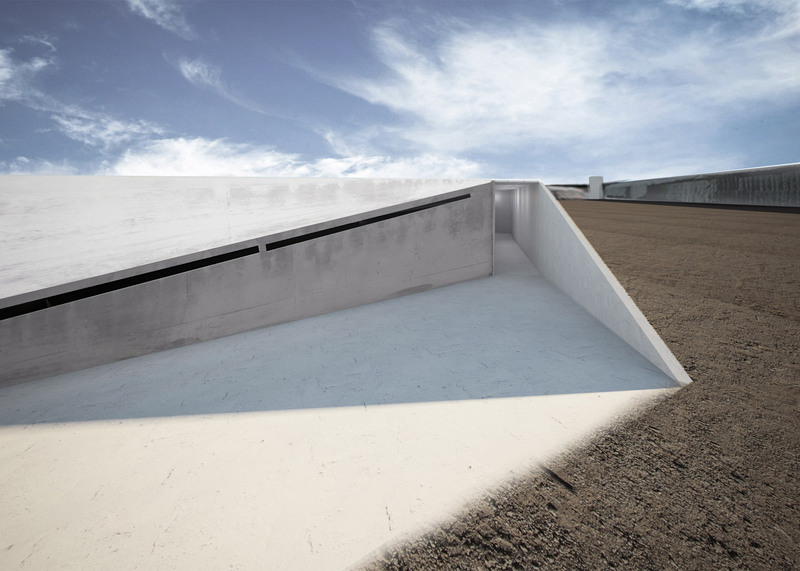 The student's schemes, of which there are seven in total, vary widely in terms of form, layout and materials. Student Zhenru Zhang conceived a series of hexagonal structures made of shock-absorbing reinforced concrete. 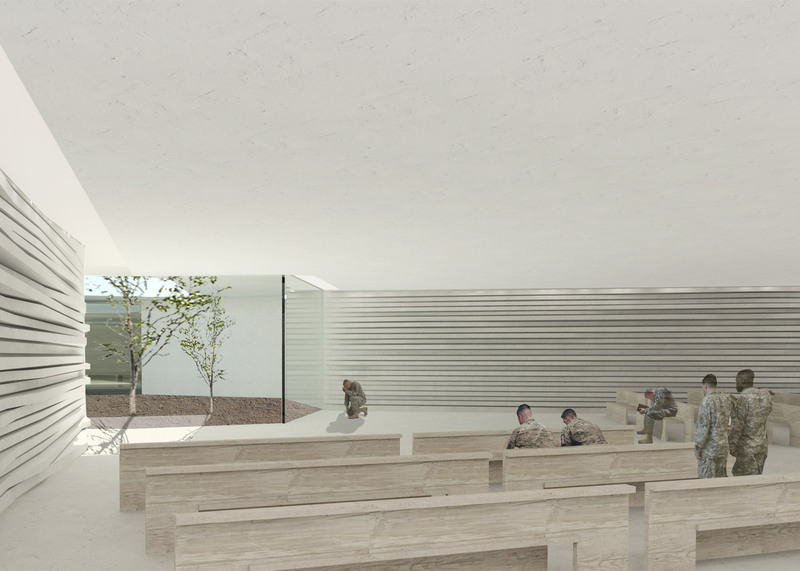 The complex would contain an underground zen centre, with space for prayer and meditation. "His COP solution is the least portable, but still quite simple to erect and with the reliance upon a high degree of ballistics resistance, it's the most 'safe' both actually and psychologically," said Cagley. 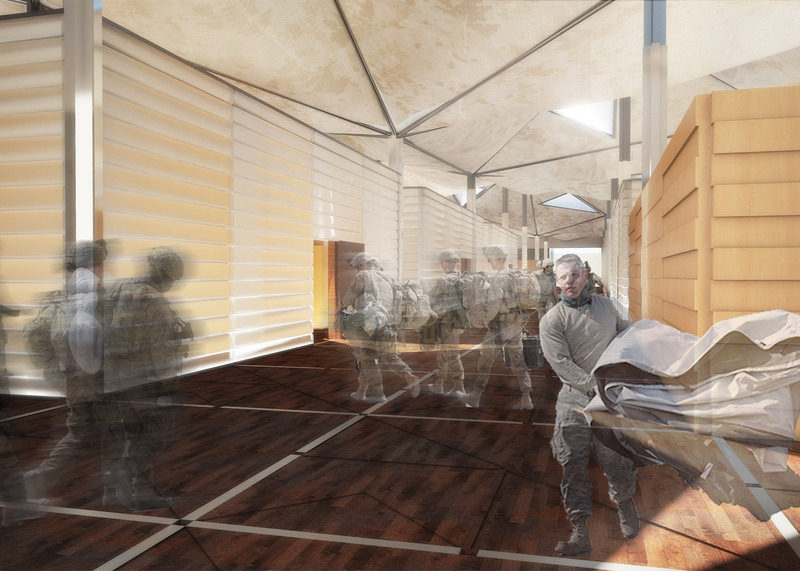 Student Yongyeon Cho envisioned an airy structure with an expansive, faceted canopy. 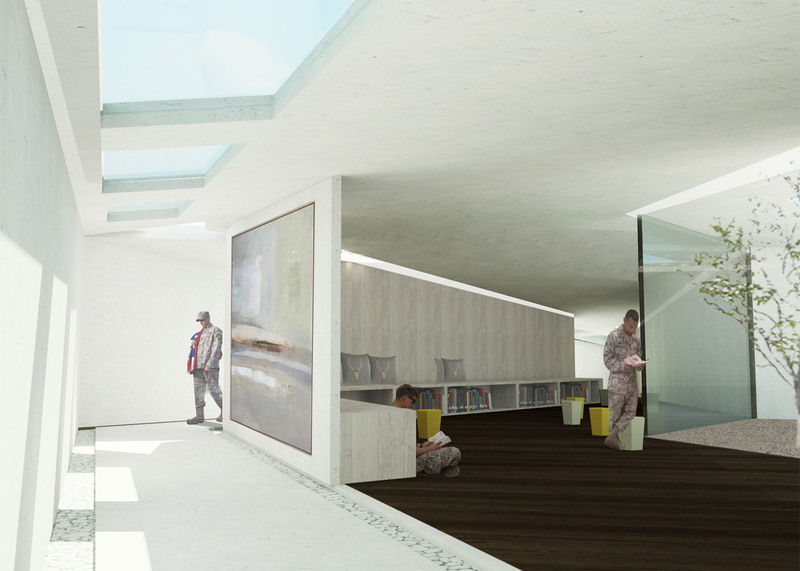 Triangular skylights would bring in natural light while also providing views of the starry sky. 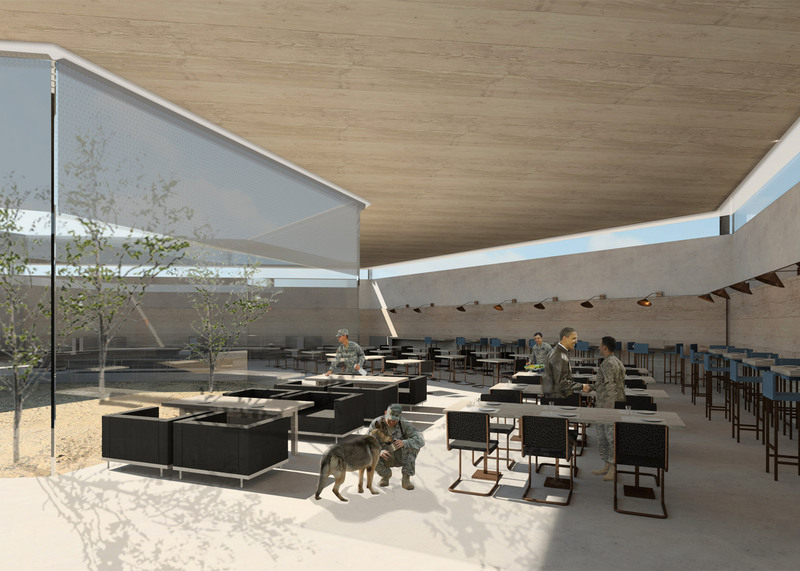 The sleeping area would be covered by the large canopy that sits high overhead. 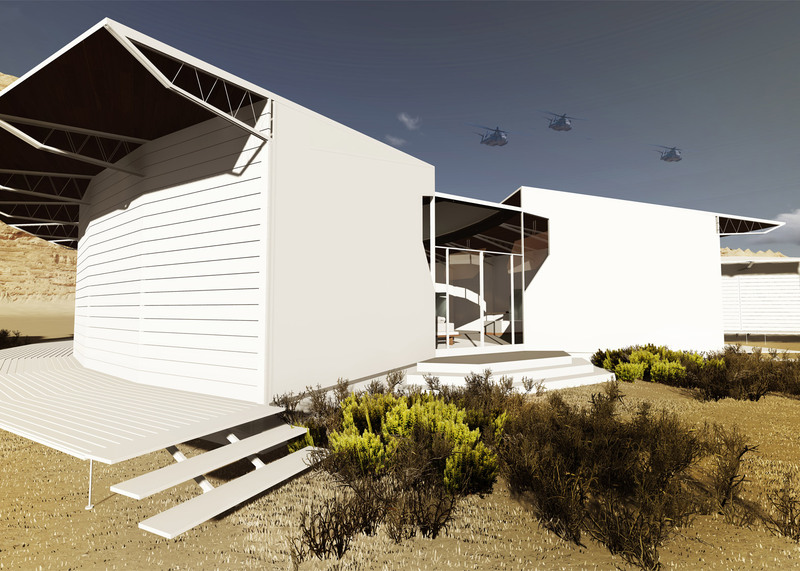 The bedrooms would have no ceilings, creating an open and airy environment. The loft-style bedrooms would also feature wood finishes, a soft colour palette, and elevated beds. "His interior spaces are united in a two-storey series of individual dwellings that are easily portable but have the permanent feel of tiny condos," described Cagley. 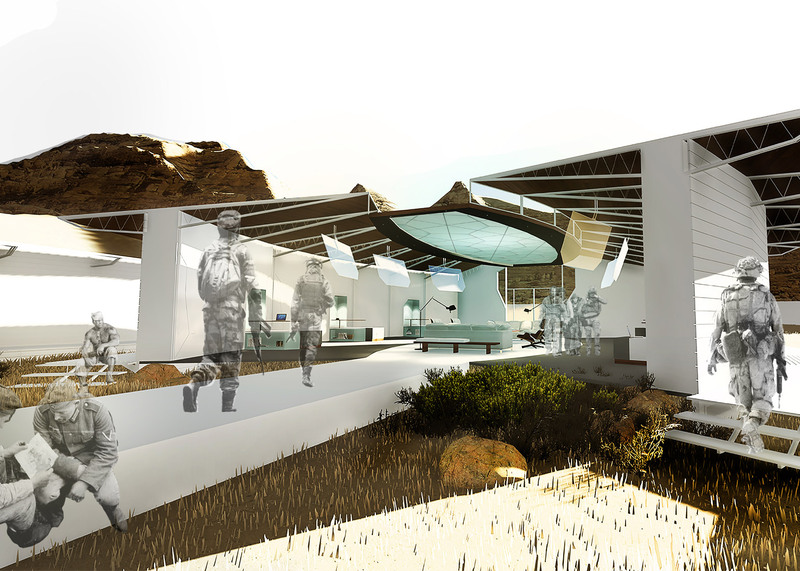 Student Josh Kassing designed a complex with a rooftop that resembles a mountainous terrain. 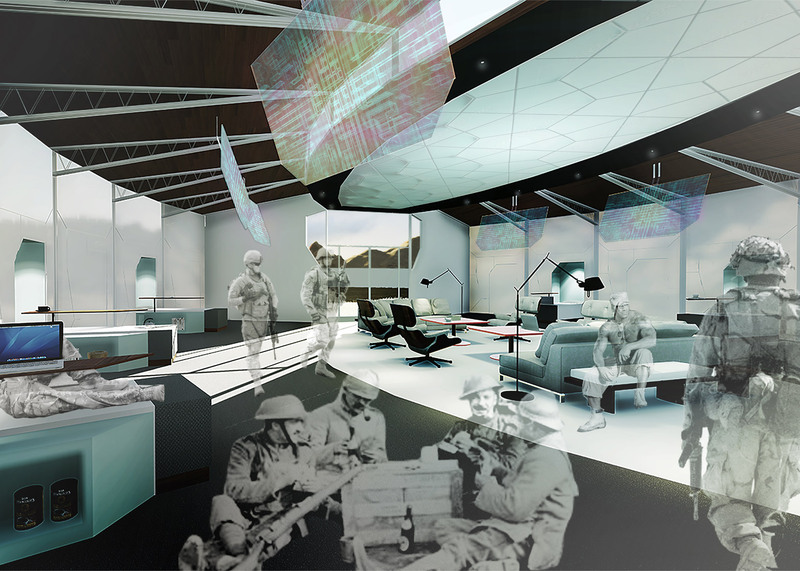 Translucent wall panels would be made of aluminum oxinitride and provide "a sense of openness while able to easily withstand a direct hit from a .50-caliber round". 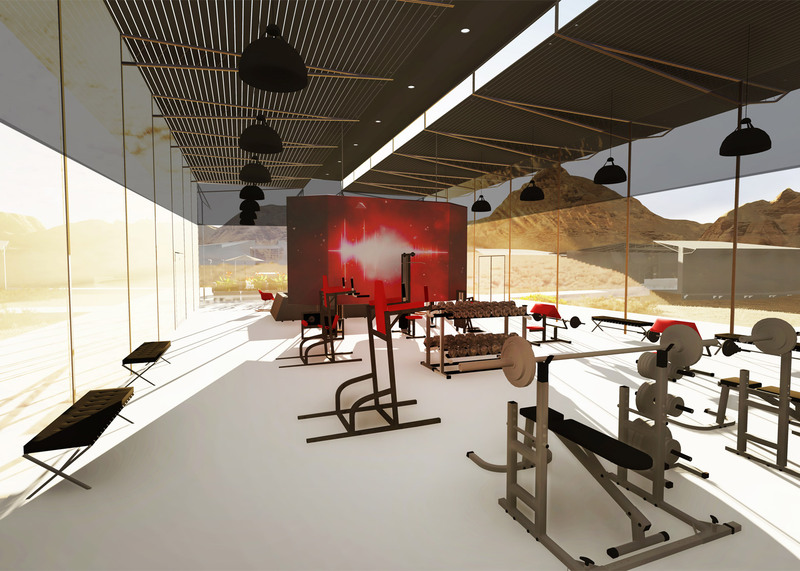 Buildings would be organised around a long, central courtyard with exercise and lounge facilities. 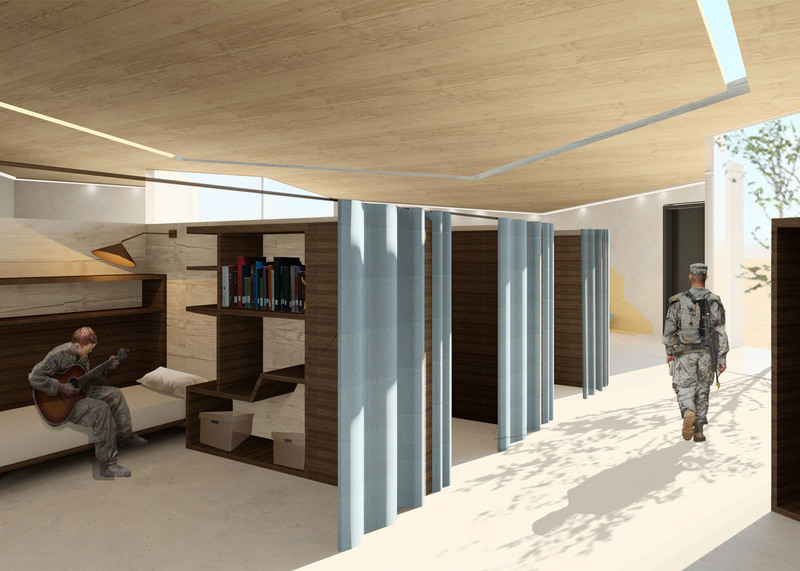 The interior design features modern decor, and sleeping units would contain Murphy-bed-style cots, folding desks and small closets. To help inform their design concepts, the students interviewed members of the university's Reserve Officer Training Corps (ROTC), a federal program that trains college students to become US military officers. They also toured Camp Dodge, a nearby Army base, where they studied a combat outpost that was used for training. The students also worked with a retired Air Force civil engineering technician, Joseph Pasquantino, who helped design and set up tent cities in conflict zones during his time in the service. "Anyone who has been deployed knows there is no privacy, no escape from the job,” Pasquantino told the university. 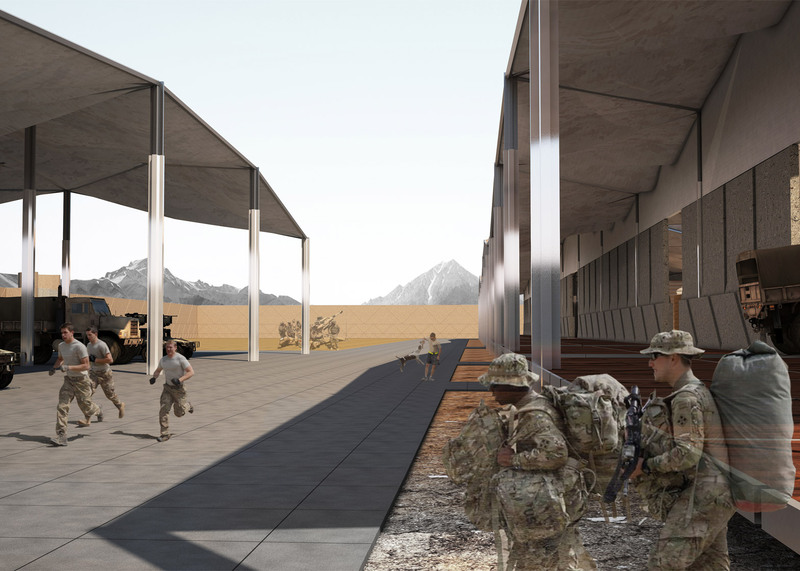 "And as hard as the military tries to provide some rest and relaxation, a few days here and there really doesn't help,"
The school hopes to secure a grant from the US Department of Defense to fund the design and construction of several full-scale prototypes. 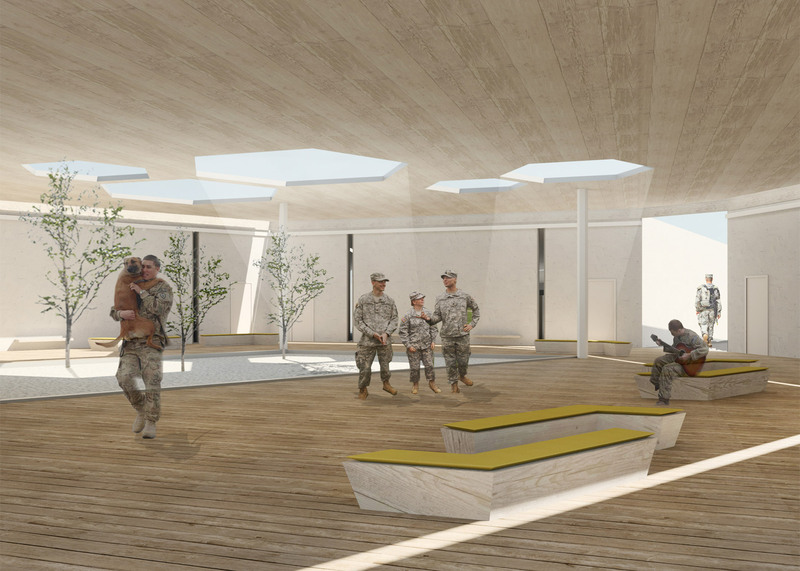 The prototypes would be built at Camp Dodge in the spring of 2017.